I was saddened to learn of the death of George Albert Wells via a Facebook friend. The Guardian has an obituary by Martin Jones. 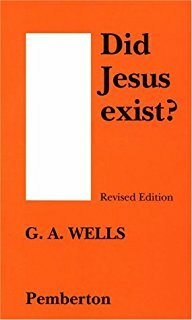 Wells’ books challenging the historicity of Jesus were among the first that I read on the question and I have never found their basic arguments overturned. Earl Doherty had quite a different view of the Jesus of earliest Christianity and I enjoyed reading some of the exchanges or criticisms of each other’s arguments that appeared online. In later years Wells did accept that the Q sayings of Jesus originated with some form of “historical Jesus” — but I found his arguments there less cogent than his earlier work. 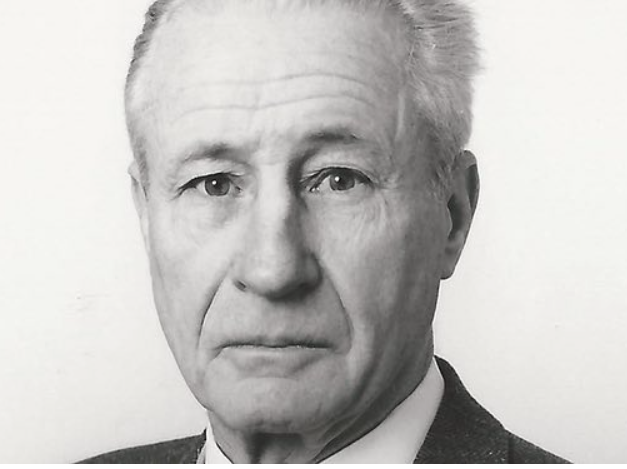 He became a lecturer in German at UCL in 1949, and was appointed head of department at Birkbeck in 1968. He retired in 1988. George’s views on the historicity of Jesus – which he first denied, then accepted in a qualified form – were controversial. He published nine books on this subject between 1971 and 2009, most notably The Historical Evidence for Jesus (1982). His work in this field generated debate in the US, where he was awarded the title of Humanist Laureate by the International Academy of Humanism in 1983. 2004, Can We Trust the New Testament? Posted on 2017-03-07 22:27:15 GMT+0000 by Neil Godfrey. This entry was posted in Scholars and tagged George Albert Wells. Bookmark the permalink. His “Did Jesus Exist” was my introduction to the idea. Like you, I do not believe his questions of decades ago have been convincingly answered. Only book by him I read, but it was quite influential, as here I am, ten years on, still thinking and reading about early Christianity. He’s an easy yet thorough introduction to the question. Yes, and by all accounts a real gentleman and scholar. We’d love to see more like him. I must admit, I did not know he was still alive. I, too, began my journey into mythicism with G.A. Wells. It was after exposure to John P. Meier, John Dominic Crossan, Richard Horsley, and Albert Schweitzer. He made the most sense to me and every Christian apologist thereafter seemed to me to be trying to avoid discussing the details…. I learned a great deal and appreciated it all. All of his books on religion are well written and clear and worth reading. Yes, I think the simplicity and clarity of explanations are their strongest features. I would often return to them to refresh my understanding of details that were too often taken for granted or elided in other work. 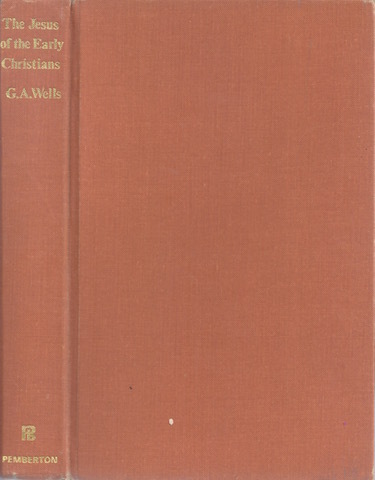 Wells was pretty much the sole voice in the wilderness approaching the NT skeptically in the last quarter of the twentieth century. (Hoffmann did so for a few months then retracted ferociously when he discovered non-tenured peasants on the Internet agreed with him.) The fact that he was not a NT scholar at all demonstrated the deep, fundamental, intractable problems of mainstream Biblical scholarship: you become “mainstream” by pretending that the problems either don’t exist or can be explained away. What an embarrassment. I normally try to avoid any and all political discussion, but this reference to Hoffmann’s blog along with the post about Cambodia the other day puts me in mind of a certain thought. Looking at Hoffmann’s blog – its latest post suggesting with something like certainty that Trump’s election means more wife-beating, and its last two or three posts all devoted to bashing Trump – is of a piece with everything I see online. Visiting Facebook after a hiatus of more than a year, I see the same thing: wall-to-wall uniformity when it comes to Trump. Unfortunately, and this is where the Cambodia piece fits in, just as Americans are wholly ignorant of American imperialism, of the American Empire, they are wholly ignorant when it comes to power politics. The blithely serene mentality that’s immune to any knowledge that their own government might, say, one minute drop countless bombs on an impoverished country and the next demand payment for it is the same mentality that protects them from the uncomfortable knowledge of raw power politics. If there’s any meaning left in the term ‘bourgeois’, it’s surely here: the notion that media narratives can be made up out of whole cloth, and that they’re tailored to confuse or control some segment of the population is one that most comfortable, near-sighted Americans cannot accept. In case it’s not clear, what I’m getting at here is that American imperialism abroad and a failure to understand power politics, to admit it into their world-view, is of a piece. When I look at Trump, I see a boorish New Yorker who wants to build things. I see no evidence that he’s a racist, a sexist, a misogynist. I see no evidence that he’s a proto-fascist, an authoritarian, etc. I see a New York real estate developer with gaudy taste, a narcissist who wants to be loved and to see his name on big buildings. He was also a Democrat for most of his life along with being pro-choice. But the picture of Trump that is sort of prima facie is lost under layers of political hysteria. One has to ask: why? At bottom, the reason is that Trump is problematic from the point of view of American Empire. Declaring himself an anti-globalist, a nationalist, Trump set himself at odds with almost 75 years of American foreign policy. And as a political outsider, he sets a dangerous precedent: he creates the possibility Americans can choose someone from outside the milieu of the political establishment as president. What Americans don’t understand – especially the half of the country that has embarked on an epic Orwellian Two Minutes Hate against Trump that lasts months – is that when the so-called ‘deep state’ does not want a particular person as president, it is willing to drive the country into chaos in order to get rid of him. Kennedy’s great sin was that he was sympathetic to non-aligned third world countries, and he himself did not share the view that if you did not ally with America and elected a nationalist government, you were therefore communist. Unfortunately, the CIA did not agree. Raw power politics is the norm. It doesn’t always show itself, but that’s only because naked aggression isn’t always called for. Until it is. The media narrative currently in play that Trump is a Russian agent is a brilliant construct obviously created by people who know how to do these things – because it accomplishes multiples goals at once: it damages Trumps’ legitimacy (no, America, you didn’t really elect an outsider as president; the Russians did), it negates perfectly his sole political position (American nationalism), and it prepares the American military-industrial complex for the coming pivot away from ‘terrorism’ and back to traditional state warfare with a new Cold War 2.0. All this is, in a way, transparently obvious. But it goes to show us how weak our political reality is, how fragile and hopeless democracy is, that a mob mentality can be created with ease and that some portion of the population with sufficient pressure will always be led by the nose. The quote attributed to Lincoln – that you can fool all of the people some of the time, some of them all the time, but not all of them all of the time – is therefore wrong. All that matters is that you fool enough of them enough of the time. To someone like Hoffmann, all that’s going on is that Trump’s election means more wife-beating. Very sad to hear of his death. I spent many years trying to understand truth and fiction in the New Testament. When I belatedly found his works, what he presented was clearly correct in how the story of Jesus came about and developed. For that I am forever indebted. Clarity and simplicity with thoroughness of argument were his strengths. His works are one of the excellent starting points for those wanting a quick overview to some fundamentals of the question of Jesus’ historicity. Read Galatians and Romans without the rose coloured specs; the rest is commentary. This is what I got from Professor Wells forty odd years ago. It would be thirty six years before I read anything as sensible. I am not sad at his death, ninety is a good innings. I am glad he kept the flame and brought so many of us to sanity. Job jobbed; there is not a better epitaph.